At the end of August, the Rosen Centre Hotel held local vendors and businesses at the center of attention. They were invited to come experience their exquisite service and venue. Three of our HerOrlandoWeddingPlanner.com staff members were invited to attend this event and were amazed by the courtesy of the staff and the beauty of the venue. The catering sales manager, Michelle Williams, went above and beyond for these vendors and will do the same to make your wedding one to remember. Rosen Centre Hotel offers many services from catering to providing child services during your event. They offer an array of choices for your wedding reception, including an elegant hors d’oeuvres reception elegantly displayed on buffet to a choice of plated or buffet menu packages. They also offer special hotel rates for your out of town guests. You can see more of what they offer by downloading their online wedding guide here. 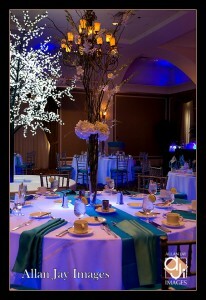 They offer two functional ballrooms for you to chose from. Giving you, the bride, the creative ability to see your dream wedding come true with decorations, plenty of seating area, and even room for a dance floor. The hotel is centrally located on International Drive in Orlando. For more information on this ceremony-reception duo venue contact Michelle Williams at by phone (407) 996 2331 or through email at mawilliams@rosencentre.com.